Welcome to Ningbo Bestway Magnet Co.,Ltd. Thank you for visiting NingBo BestWay Magnet Co., Ltd. From here you will be able to find out about bestWay's full line of magnet products. 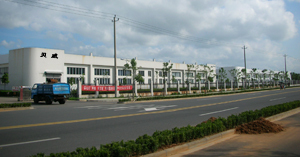 bestWay's factory has specialized in producing and supplying various magnets and magnetic products for more than 8 years, with our own factories in China. Our annual production capacity is over 5,000 tons about various magnets . Our products are sold over 40 countries around the world. With high quality management term, we are proud to obtain ISO9002 . In all our selling products shown in the brochure, we especial recommend to sell thin and small dimensions magnets. We also have a excellent team to provide various design about magnetic assembly appliance. For all , We persist in providing superior quality, competitive prices as well as prompt delivery. Based on this strong background for many years. We serve our customers sincerely while they treat us as their trustful friends. Our prices are competitive and our quality and services unmatched. The website is updated frequently. To experience our superlative services yourself, you are invited to contact us and we are also would like to make best service with you.